The Swiss family-owned company, Bühler, has announced a breakthrough in polymer sorting, with the launch of its new SORTEX E PolyVision. This ground-breaking technology is able to identify same-colour polymer contaminants, by analysing their chemical signatures, to deliver higher grade rPET flakes that exceed industry standards for minimum contamination levels. The new machine completes a sophisticated portfolio of optical sorting solutions, which tackle all of the industry’s concerns, such as unwanted colours, metals and now polymers – a solution that has previously been compromised. 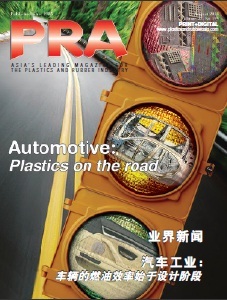 Historically, removing same-colour polymer material from rPET flakes, such as clear PVC from clear PET, has been challenging for recyclers, as they cannot be visibly distinguished at such high processing speeds, without losing a lot of valuable flakes. Adding to this complexity, rPET flakes can be minute, so you need a sophisticated technology that not only detects 'invisible' polymers at high processing capacities, but also very small flakes. 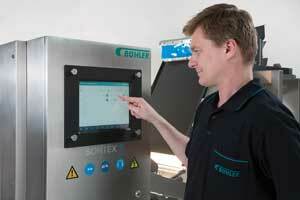 Bühler’s SORTEX E PolyVision has been exclusively designed to overcome this problem. 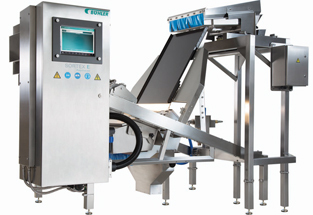 It features a brand new, patent-pending lighting system, which enhances detection of thinner polymer contaminants, as well as high-precision ejectors that remove delicate flakes, with little or no loss of good product. 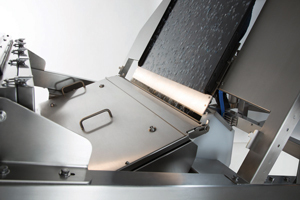 It can also be used as a three-in-one sorter or combined with existing SORTEX technologies, in a fully integrated sorting station, making it one of the most flexible optical sorters available to the recycling industry today. 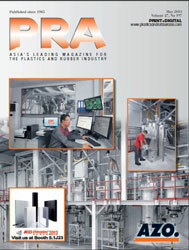 According to Bühler, polymer contaminants that are the same colour as rPET flakes, such as polypropylene (PP), polyethylene (PE) and polyvinyl chloride (PVC), are difficult to detect using conventional sorting solutions that typically rely on either transparent or reflective sorting. But with the SORTEX E PolyVision, both methods are used simultaneously, enabling polymers to be identified by their unique chemical composition and removed with a much higher efficiency - reducing the contamination to below industry standards of 50 parts per million. This is the reason that the SORTEX E PolyVision is able to deliver the purest, cleanest recyclate for high-end uses, with minimum loss of good flakes. Meanwhile, this new offering from Bühler will enable recyclers to provide rPET flakes for high-end specifications, such as for the packaging industry and reinforced components for the automobile industry, where the emphasis is on achieving the lowest contamination, measured in parts per million.